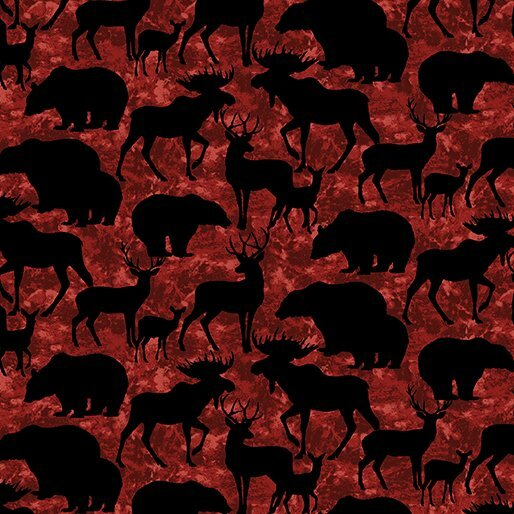 Red background with small wild animal silhouettes. From the Living Lodge collection by Bristol Bay Studio for Benartex. 100% cotton 44-45" wide.